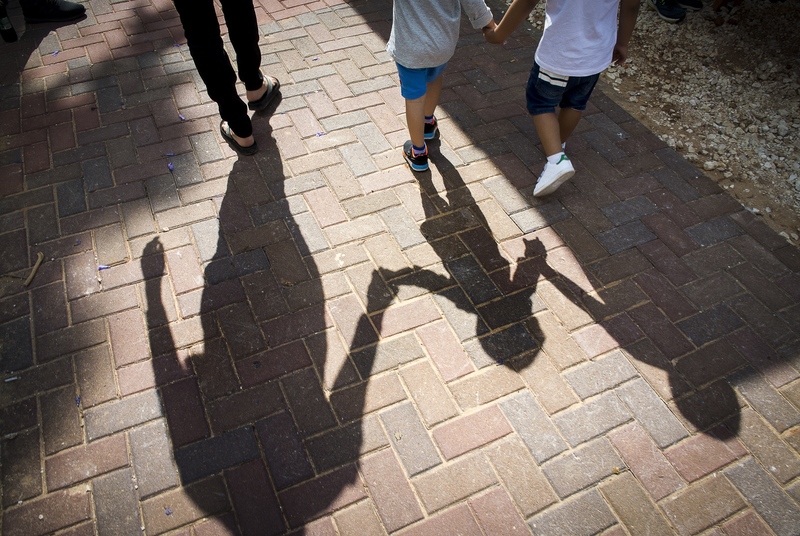 Mixed Arab and Jewish kindergarden children walking with in the grounds of the Hand in Hand Kindergarden at Beit Berl, Israel. 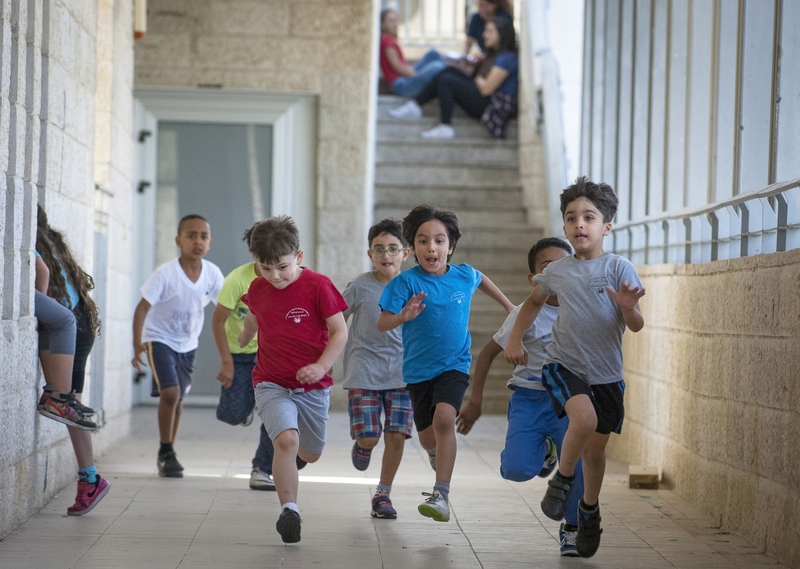 First Grade children playing happily together in the corridors of The Max Rayne Hand in Hand Jerusalem School. 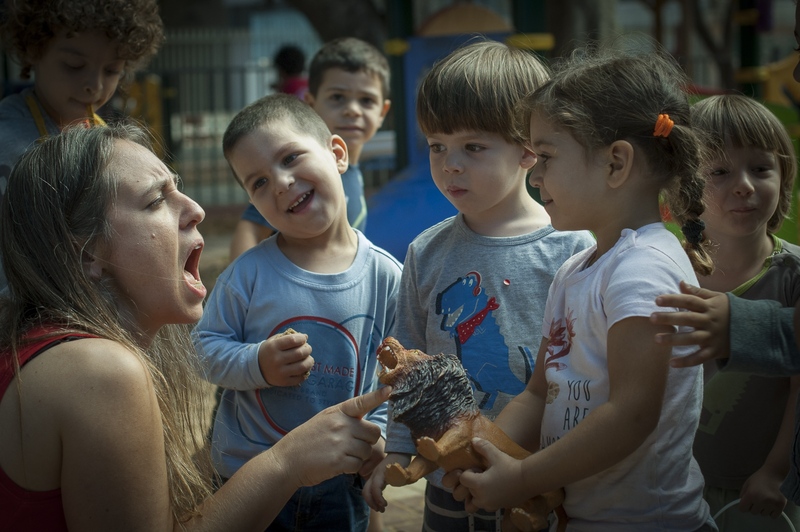 A teacher from the Hand in Hand Kindergarden at The Tira-Kfar Saba Preschool in Beit Beri with some of her mixed Arab and Jewish school children.in the grounds of the School. Kindergarden teacher Daisy Yaakov gets a hug from Bashar Abu Fane. Her co-teacher Layati Kaboha is in the background. Wadi Ara, Hand in Hand School, Kafr Qara, Israel. 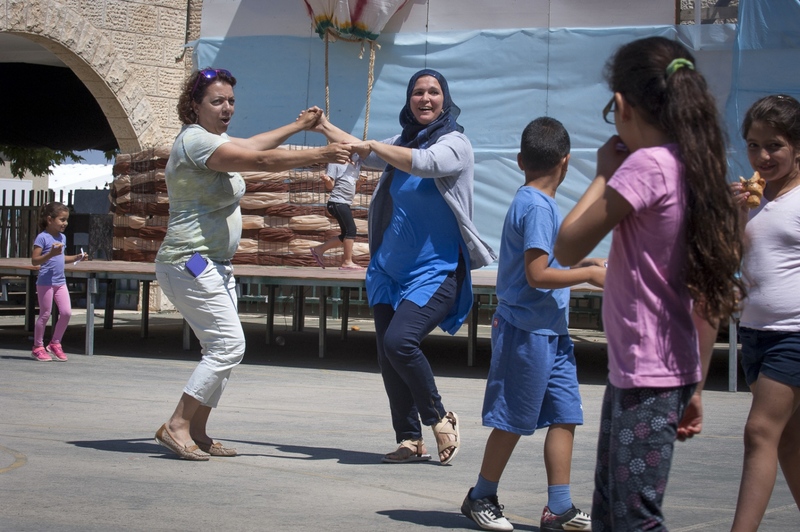 Wadi Ara teachers Shuli Kelin and Amina Tamne get in the end of year spirit while dancing to Soul Controls song 'Choco, Choco, Cholate." A very popular number with the staff and pupils. 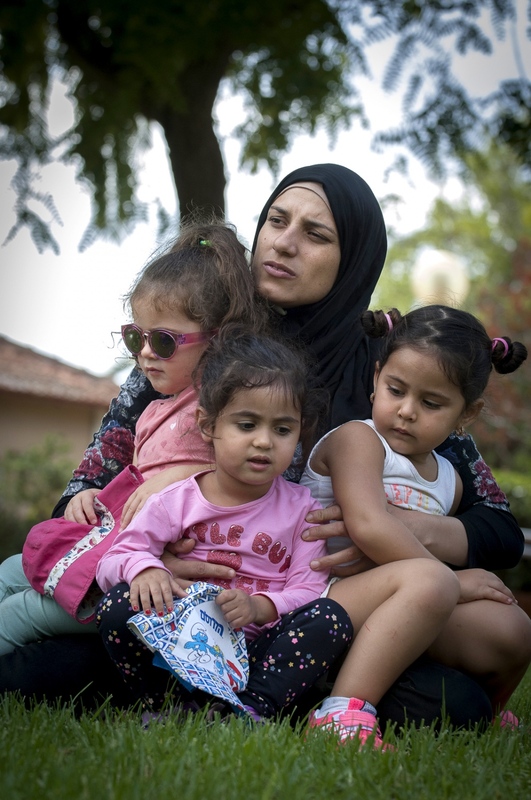 Kindergarden teacher at the Wadi Ara Hand in Hand School Layati Kaboha with some of her students. 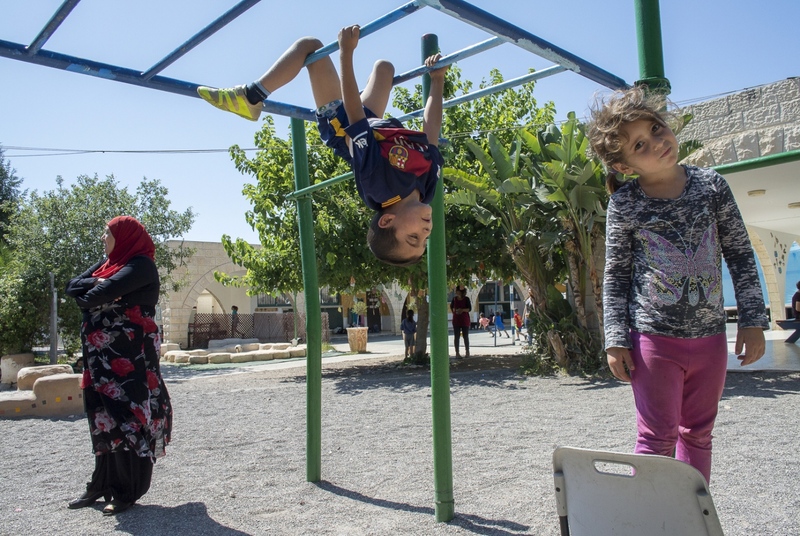 Climbing frames and break time at the Wadi Ara School in Israel. 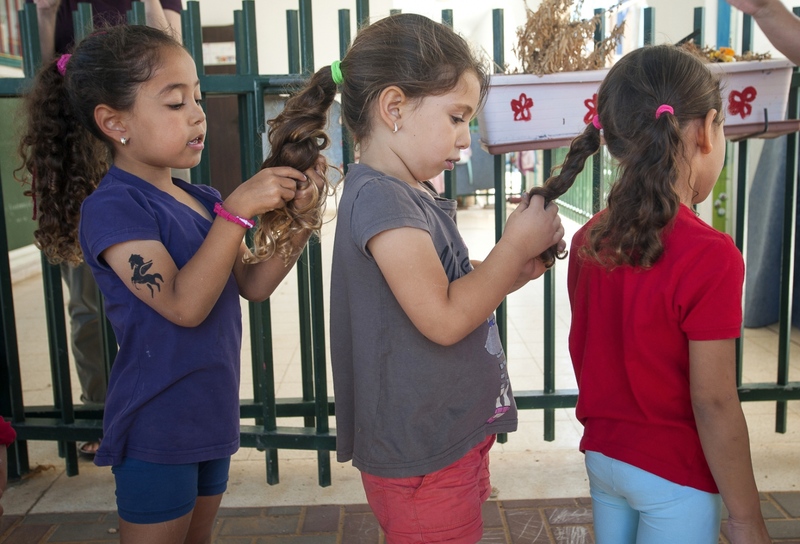 Wadi Ara Kindergarden students Lor Sawalha, Aline Kitane, Duna Gawi getting ready to go out into the main playground. 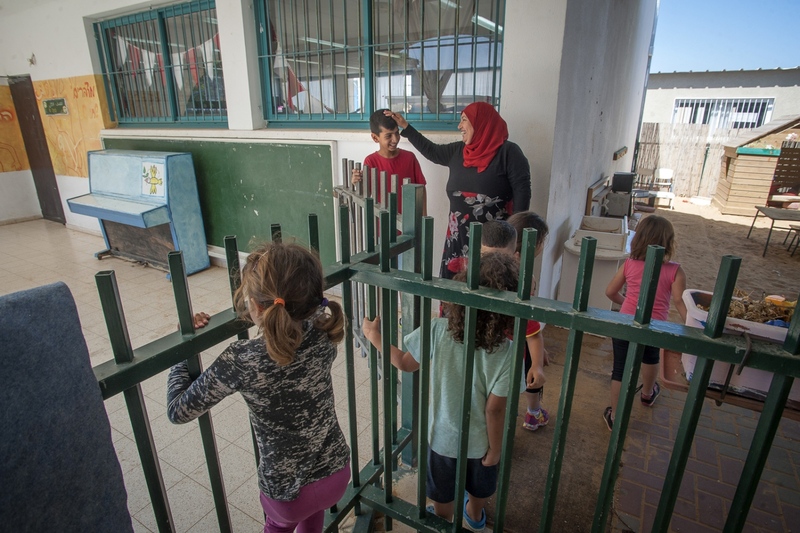 Students in the Kindergarden of Wadi Ara Hand in Hand School in Kafr Qara, Israel. Two teachers. One Arab and one Jewish. Rinat Levi and fellow teacher Arin Ismael working with their Kindergarden class to perfect the performance for the schools 'Identity Day' celebrations. Max Rayne Hand in Hand Jerusalem School. One mixed class with two teachers. Lessons are taught simultaneously in Hebrew and Arabic. Alia Hussien and fellow teacher Efrat Toval give a lesson on identity to this class of 3rd Graders.. Max Rayne Hand in Hand Jerusalem School. Students play together during break time with one of their teachers at the Jaffa Hand in Hand School. One mixed class with two teachers. 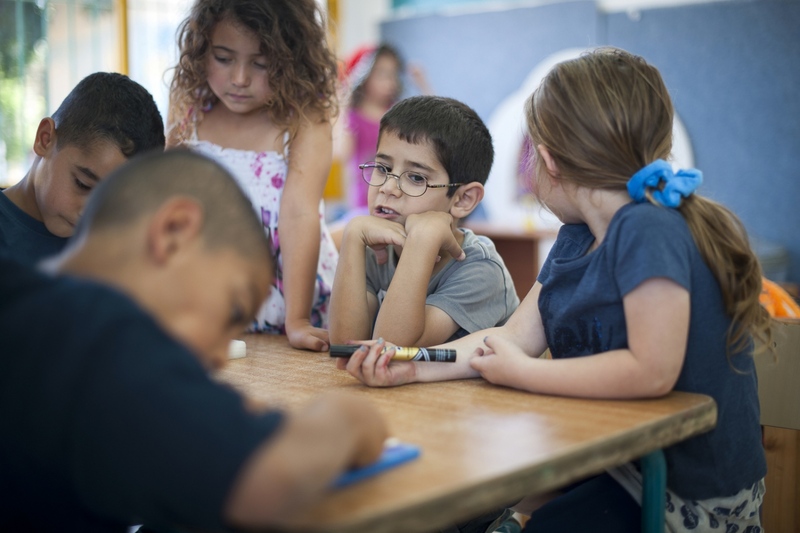 Lessons are taught simultaneously in Hebrew and Arabic to both Jewish and Arab children at the Hand in Hand Kfar Qara School. Arab and Jewish students mingle together during break time at the Jerusalem campus of the Hand in Hand School. 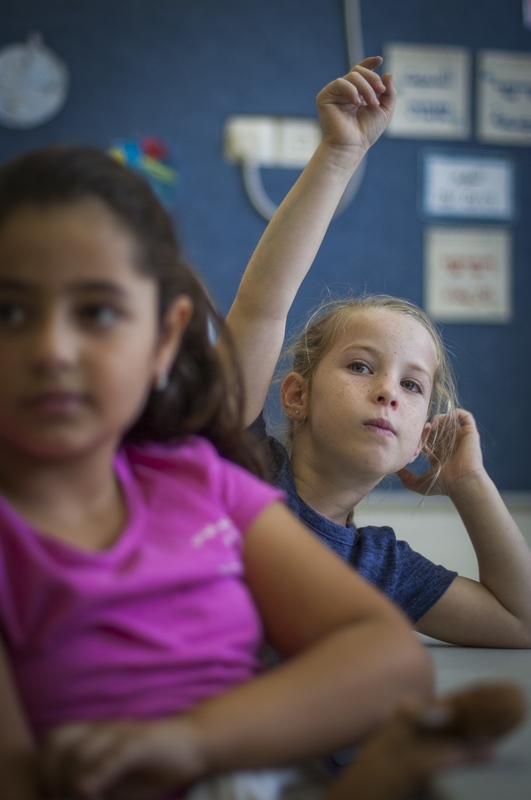 A student in the 50|50 mixed Arab Jewish classroom at Kfar Qara Hand in Hand School, Israel. The Hand in Hand educational concept was given birth in 1997 by Amin Khalaf, an Arab teacher and lecturer, and Lee Gordon, a Jewish-American social activist, after they met while working in their respective fields promoting Arab-Jewish dialogue in Israel. 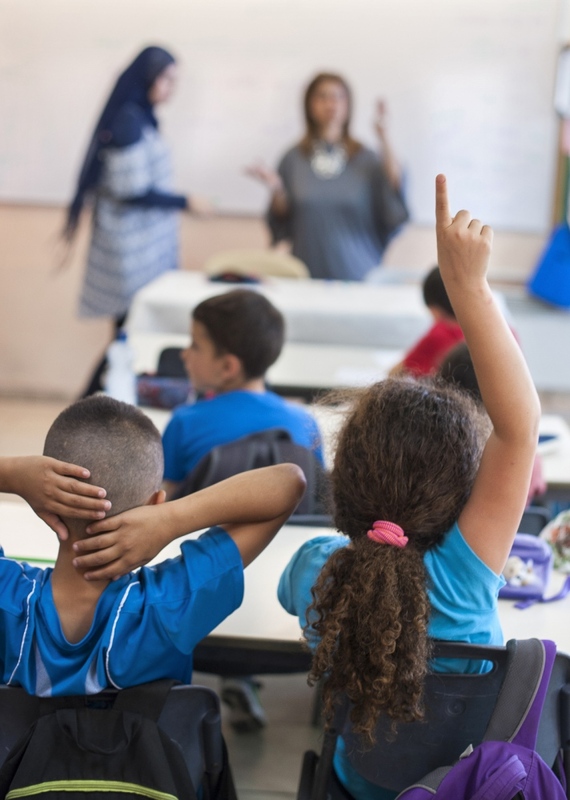 The schools they pioneered and opened first in Jerusalem in 1998 host an equal number of Jewish and Arab students respectively, two teachers simultaneously in both Arabic and Hebrew hold the lessons. 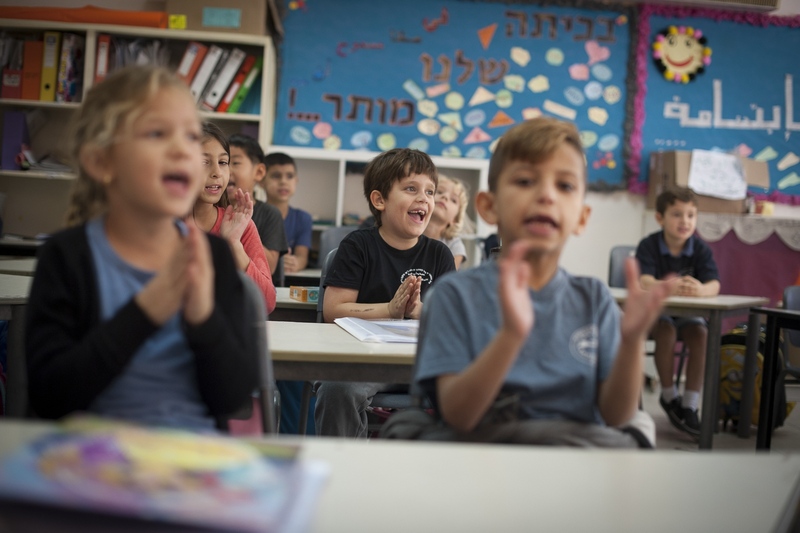 Judaism, Islam and also Christianity are taught with equal weight to all students, and each faith’s respective religious holidays are also observed. Emphasis is given not only to one’s own culture and language but also to those of the "other". The children study two accounts of history: the creation of the "Jewish homeland" as well as the narrative of the Palestinian struggle. 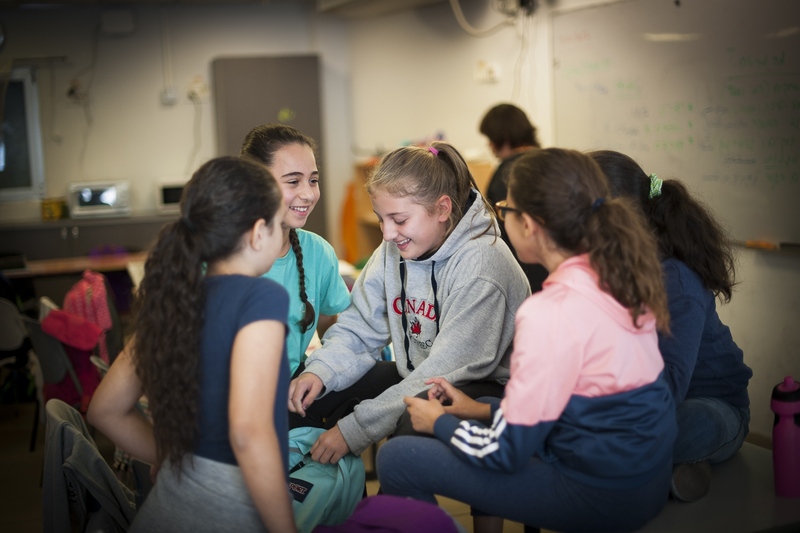 The successes of this academic formula are still reassuringly apparent as students regularly outscore their peers in Israel’s matriculation exams and also attain a higher rate of college attendance. It is nothing short of a revolutionary approach within the tight confines of the Israeli Educational System. 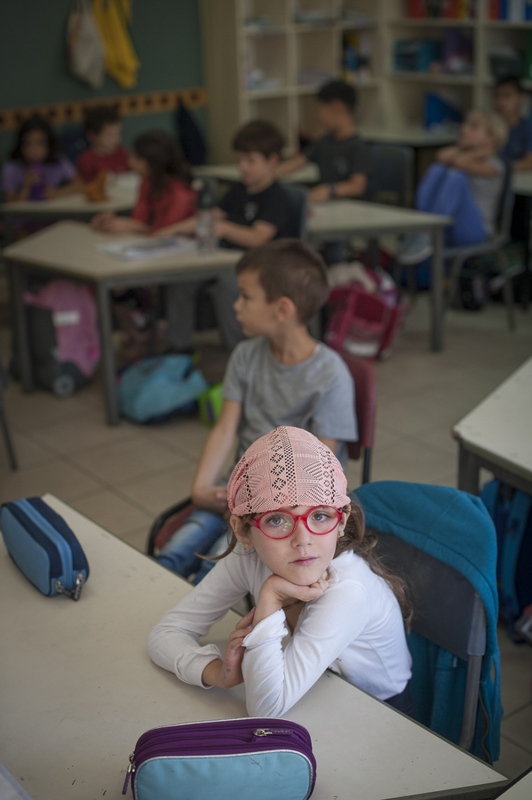 Almost every other school that teaches the one million children of Israel is segregated along racial and religious lines – not by law but by the tradition that can trace its roots back to times before the establishment of the State of Israel of 1948, when Palestine was under the British Mandate. Arabs go to Arab schools and Jews to Jewish, they always have. This isolation, the lack of contact and communication between the two communities that both inhabit the "Holy Land" is established from an early age. Hand in Hand's mission is to overcome this. Director of the Educational Department for Hand in Hand is Dr Inas Deeb. Dr Deeb has researched for her PHD on "Seeing Isn’t Believing: The Effect of Intergroup Exposure on Children’s Essentialist Beliefs About Ethnic Categories." Her research concluded that it’s not just enough to put two groups of children together to learn and play in order to break down differences. It has to be in the structured environment of "a shared bi-lingual education with equality of status amongst pupils, shared goals and institutional support to give the most effective form of education for reducing intergroup biases." In essence this is the best approach to reduce racism and is the ground of which Hand in Handoperates. Hand in Hands vision is to extend its base of 6 schools with 1320 Jewish and Arab students, which presently involve about 6000 community members of parents and staff, to further 10-15 schools with supported and enhanced community activities which will involve altogether some 20,000 Jewish and Arab Israeli citizens.